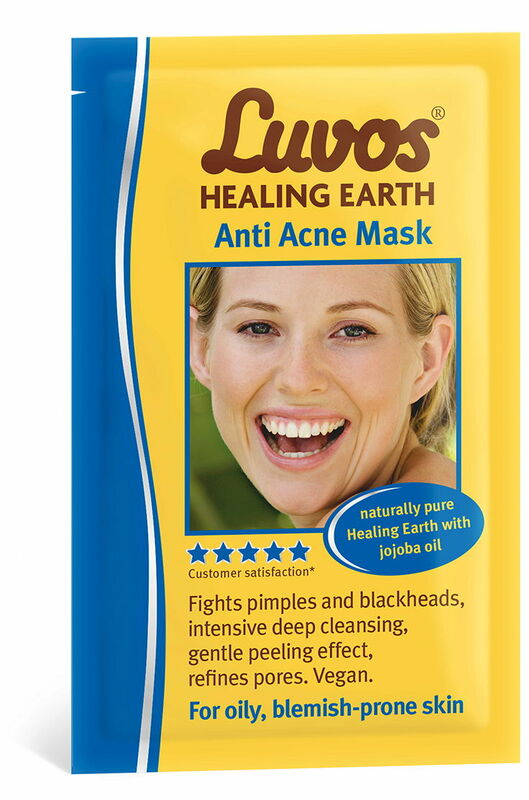 Naturally pure Luvos Healing Earth visibly reduces pimples and blackheads. Intensive cleansing, deep within the pores, absorbs excess oil and frees the skin of impurities, bacteria and pollutants. A gentle peeling effect removes dead skin cells. This special formula also stimulates cell metabolism and nourishes the skin with valuable minerals and trace elements. Specially selected jojoba oil ensures pleasing moistness of the skin and preserves the natural lipid balance. Refines the skin and minimises pores. Clarifies the complexion, giving it a pure, naturally harmonious appearance! Application: Knead the unopened sachet. Apply the mask evenly to the face, neck (and décolleté), avoiding the skin around the eyes and mouth. After around 10 to 15 minutes, rinse off the mask with lukewarm water or with a cloth if you want a more intense peeling effect. Ingredients: Loess, Aqua, Simmondsia Chinensis (Jojoba) Seed Oil, Phenoxyethanol.